This had made me decide to create my own definition that I think will work (for me). Instead of one word for this topic, I will have two words. A planet is, more or less, the IAU version of the definition. They are the major bodies of a solar system. This allows for simple memorization whenever we begin categorizing solar systems that aren’t just ours because, let’s be honest, 110 planets in each solar system would be impossible for our minds. A world, as a scientific definition, is this new definition. Pluto doesn’t have to planet. It’s far enough out and is elliptic enough that I’m fine resigning it as a Kuiper Belt object like Ceres in the Asteroid Belt, however, Pluto is still a world unto its own, and a very important one at that, just like Europa, Titan, the Moon, Earth even. 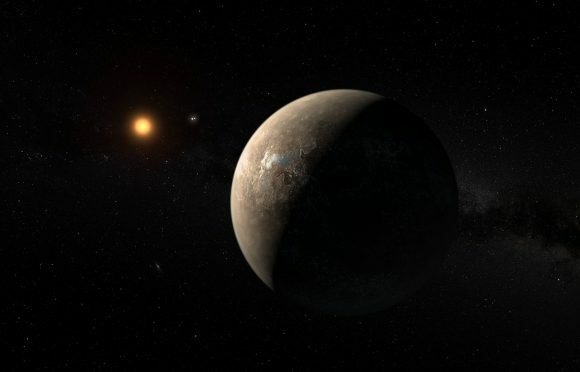 The IAU gets to keep their definition, after all, planet literally means wandering star, which concerns orbits if nothing else and would create a good summary of any solar system, but anybody who is familiar with Pluto, Ceres, or various moons around the gas giants knows that those are important to us as much as the other planets. So, these are worlds, the more detailed look at a solar system and important for things pertaining to more than just orbits. In my opinion, this creates an even better situation concerning education because rather than just learning how to distinguish the main 8 (or perhaps 9 soon), they can get to look at aspects that are as inherent to a body as water is to Earth, especially since we have at least 110 examples and soon we could be setting up shop on them. The current definition of the planet is really troublesome. In such case, the Earth itself is not a planet because our planet has not cleared the path (neighborhood). We are orbiting around the Sun together with Asteroid 2016 HO3 and therefore, our planet Eart is just a planetoid. Right? Not exactly. Neither Earth nor Jupiter, or any other planet that has asteroids that lead or follow it, are “sharing” their neighborhood with other objects. They dominate these objects, which is why they lead and follow their orbits. The same cannot be said about Pluto, Eris, or any large bodies in the Main Asteroid Belt or Kuiper Belt. Here, objects follow their own orbits around the Sun. 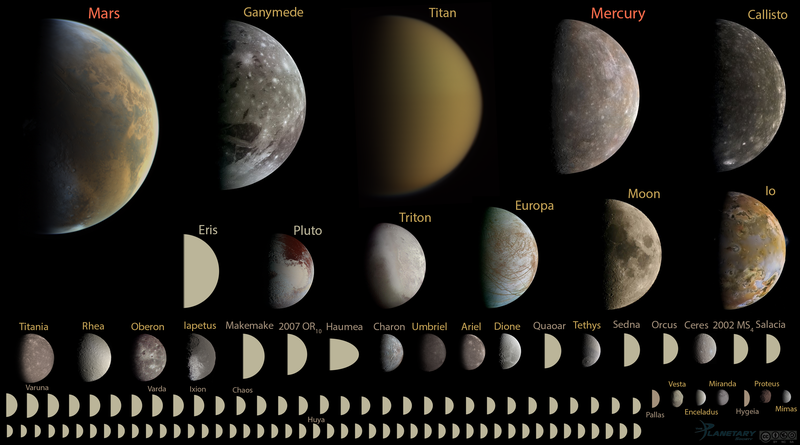 Might have been worth looking for the current version of Emily Lakdawalla’s montage, with Pluto, Charon and Ceres up to date. “Clearing one’s neighborhood” seems to be misunderstood by people who hate the IAU definition. It just means that the “Planet” is the dominant body in its orbit, and all the other objects remaining are just a fraction of its mass. Look at Jupiter, it has a lot of trojan asteroids, yet it has more than 99% of the mass in its “neighborhood”. Same with the Earth, or any other “Planet”. Now look at MPC-134340, it doesn’t even contain 1% of the mass of its neighborhood. The geophysical definition could work. But like the IAU definition, it only works for certain fields and cannot be used across the board. I think we can live with several distinct but related definitions. It has worked in some extent in biology. In the life sciences, different disciplines have different definitions of the word “species”. Population geneticists have one definition, field biologists have another. The most commonly used definition is the “biological species concept”, which defines species as genetically isolated populations of creatures that can interbreed and produce viable fertile offspring from within its group but not with other groups. It works for most cases, but how about paleontology? You can’t infer interbreeding from fossils. So paleontologists have to rely on morphological similarities as basis for their definition of species. Of course, neontologists would point out that modern creatures with similar morphologies can be genetically isolated from each other, and that even individuals of one species can have a diversity of forms. If paleontologists did not know that caterpillars and moths are just phases in the life of a certain species, they might categorize them as distinct species, even distinct genera! So there is no satisfactory definition for some scientific categories. Classification is just a pain, ask any systematist. I think we should allow different definition for specific subgroups in a field. Astrophysicists can use the IAU definition, while planetary physicists and geologists can use the geophysical definition. And if it proves unsatisfactory for another sub-discipline, then they can make their own definition, just as long as it is relate-able in some sense with the established definitions. The cosmos can be a messy place. Great article Matt, because talking about Pluto (and what constitutes a planet) is a popular subject with us commenters. Now where is Laurel? p.s. Said it before, I’ll say it again: “Makemake” is one of the best names! For KBO’s my favorite would still be “Sedna” however. Don’t worry. Laurel will chime in eventually. I saw her posting about the geophysical definition on her blogspot last week. Sedna is indeed a great TNO. But I think it’s an SDO, not a KBO. Have you read Mike Brown’s book “How I Killed Pluto”? It’s a biographical story of how he became an astronomer and how he helped discover many of the massive TNOs so far. Yeah, I think you are correct Dan. It would be considered a SDO. Hello, and thanks for thinking of me! I applaud Matt for acknowledging this issue is a matter of ongoing debate. In response to Dan, it isn’t nostalgia that motivates the “pro-Pluto crowd”; it’s preference for a geophysical planet definition. Alas, poor Pantzov, some things are not to be! Jupiter has failed to do that as both in front of its orbit and behind it are a group of asteroids. That definition to me means that there are no other objects in its orbit besides moons in orbit around the planet. Since these asteroids are in the way of Jupiter’s orbit, whether there is a danger or not of the two ever meeting, the orbital plane has not been cleared around its orbit, and by the same definition that dropped Pluto from being a planet, so should Jupiter! You can’t selectively apply the rules to one’s whims. I partially agree with this possible new definition. But I think it can be merged with the current one by the AIU, if they take out “regardless of its orbital parameters”. I think the orbital parameters matter. I’m baffled as to why the resolution isn’t more clear on this! It’s incomplete! This should have been made more aware in the document and to the public in general. It’s due to being incomplete, that people think Earth and other planets shouldn’t be planets under the new definition (“oh, the Earth has the Moon, it hasn’t cleared its neighborhood, so under the definition, it isn’t a planet”). But there are bodies as big as Pluto, near Pluto. Which is why it is a dwarf planet. I think the definition should indeed be revised, but to include a better understanding of what “clearing the neighborhood” really means. Actually, there aren’t any bodies as big as Pluto anywhere near Pluto. If there were, scientists on the New Horizons mission would not have had such a difficult time finding a second target for the spacecraft to visit. It took the Hubble Space Telescope to locate the nearest target, and that is a small KBO nowhere near Pluto’s size located one billion miles beyond Pluto! Eris, Haumea, and Makemake are closer to Pluto’s size, but they are not located anywhere near Pluto or near one another. I am currently reading Carl Sagan’s Cosmos, which is an old book, and yet still very relevant to today. In it Pluto is, without dispute, a planet. There are countless books written before the declassification of Pluto. Although now to re-instate Pluto as a planet would once again create text books that are incorrect. My suggestion is to call the nine planets the original nine and give them special status because they were discovered first, the rest are all planets, just not the original ones. I also considered calling them the major planets, but this leaves a dilemma, in case we have to name planet x or planet 9, which is thought to be massive and gravitationally affecting other Kuiper belt objects. My actual opinion is that all human classifications are arbitrary anyway, so I think it is ok to be classed in different ways by different bodies.